An ideal blend of amenity perennial ryegrasses and fine leaved fescues. 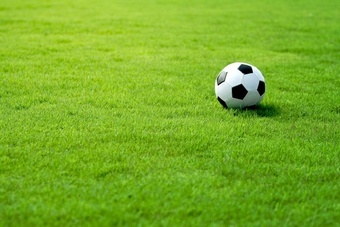 Designed to rapidly produce a durable turf for most recreational activities including new lawns. 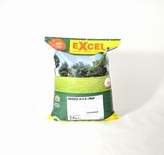 This mixture with 75% perennial ryegrass will give one of the best hardwearing lawns available. Perfect for all those kids parties and hyperactive pets. 1. The ground should be dug up spade deep. 2. Rake the seed bed, remove any coarse stones etc and level at the same time. 3. Now the surface should rest from 14 -21 days so soil will settle and weeds will germinate. 5. After 7-10 days and the weeds have died, break up the surface again with a rake 3-4 cm deep. 6. 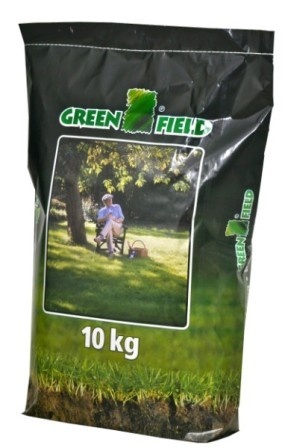 Sow a suitable Greenfield lawn seed mixture using the correct sowing rate steadily from the hand, bucket or mechanical spreader. Lawns can be sown from spring to the end of autumn. Pick a day where there is no rain and very little wind. 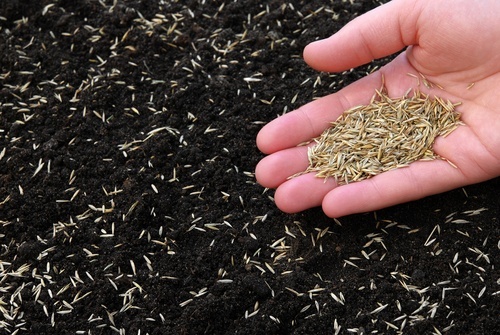 Gently rake in the lawn seed along with some fertilizer, roll if necessary. 7. During the following 3-4 weeks the new sown surface must be protected against drying out. If necessary water. 8. When a height of 8 -10cm is achieved the young lawn is mowed for the first time. Frequent cutting, particularly in the young stage, leads to a thick strong lawn turf.